Research has found that good ﻿﻿landscaping can add up to 28%﻿﻿ to your property's overall value. You only get one chance to make a first impression. And the first thing people see when they look at a property is the front yard. It's also the first thing you see when you arrive home, so it's just as important that it looks great. Whether you're looking to sell your property or you'd just like a beautiful, maintainable yard to come home to every day. 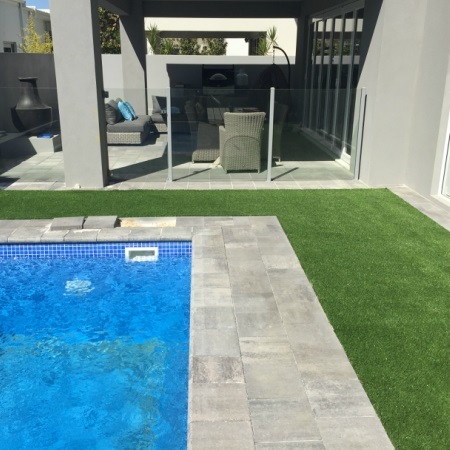 As Perth Landscaping Installations specialists, we know the value of first impressions and the value that great landscaping can bring to your home. There are many simple mistakes that you can avoid by having a plan for your landscaping project. A plan can help you identify which features of your yard to keep and which to remove. This can be as simple as a sketch of your ideal yard and accompanied by a list of the main features you'd like to include. A good plan is simple, consistent and complimentary to each element of your design. For example, including native plants in your design that are already adapted to the climate or region so that they grow quicker and healthier. This can get you to your ideal end result faster and can also reduce your water bill and other maintenance expenses. Contacting a Perth landscaping company for an estimate is a great way to figure out your costs before you start. Our team provide free estimates everyday for installations and maintenance. That includes irrigation system installs and landscaping projects. An estimate or quote also gets the ball rolling on your project and can help you get to the finish line much quicker. If you'd like a free estimate, contact our friendly team who are more than happy to help and answer any questions you might have. We've had 30 years to learn how to serve our customers as best as we possibly can. 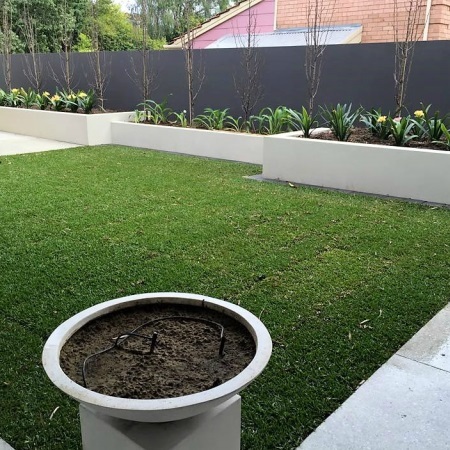 A consistent theme that has come up during our time providing Perth landscaping installations is that clients appreciate simplicity in the process. Our aim is to produce a great final result for you, all-the-while keeping the process as stress-free as possible. Our team has had the privilege of helping locals with their Perth landscaping installations projects for over 30 years. Consequently, we've met so many great people looking to get more out of their property. Whether that's to become more water-wise or save money on their water bill and install a bore. Or sometimes it's simply to get their reticulation system serviced in time for the hot summer months. No doubt you've heard the phrase "There's no job to big or too small," and that stands true for us. Therefore there's not much we haven't seen when it comes to installing landscaping projects in Perth. This has resulted in a wealth of experience, expertise and most importantly, happy customers. We want you to benefit from our vast experience in the industry and enjoy your property. That experience is in both residential and commercial work at small and large scales. We have the scope to care for your personal front and back yard, or install yards and irrigation for entire residential developments. Australia is one of the hottest places on Earth. As an Australian resident, we've got no doubt that you know what it takes to keep a healthy lawn and yard during the Summer months. Water is a precious natural resource. As a company that works with water and living landscapes ever day, we recognise how important it is to look after it. That's why Joel Irrigation and Landscaping are a WA Water Authority Accredited Waterwise Contractor. We are committed to the design of water-efficient reticulation systems that suit the dry Perth climate. Ready to get started or want to find out more?